Sometimes Cordelia wished she could keep her eyes tight closed for the entire journey. And yet, as her muscles tensed for the thousandth time, she knew it was impossible. How to make a decision quickly? Yes? No? To make a possibly life-or-death decision in one second? Synopsis: In Warsaw, a shy and high-minded polio victim lives a life of seclusion caring for her odd family until a chance encounter plunges her into the intrigues of dirty politics. Zaremba, a wealthy businessman, is about to be arrested on trumped-up charges and only she can save him. Swept along by events, Cordelia finds her feelings increasingly involved with a stranger for whom she is both rescuer and victim. 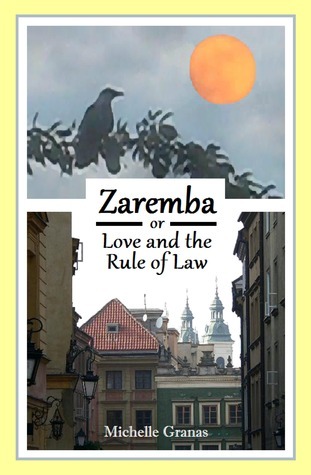 When Zaremba disappears, Cordelia is painfully uncertain if she has been abandoned and must overcome surveillance, corruption, the media, and mounting humiliations and difficulties to learn the truth. Although set in Poland, this is a story that could happen anywhere, as young democracies struggle against the temptations of covert operations and older democracies sometimes lead them astray. ... and there's a giveaway for this one! It's a fast-paced espionage read! And it's open international! Great teasers! Especially the 2nd one. yeah, the second one is quite provoking! Aloi, great teasers both.. and love the look of the blog now.. I think I should do away with GFC too .. but not sure yet.. This sounds like an intriguing book....thanks for sharing. These are great teasers! I'm going to look up the book right now!